The vMix Replay is an easy to use recording software with the power of instant replay! vMix Replay continuously records up to four cameras simultaneously in full HD so operators can review the action and jump back to any point in the game all with real time control over camera angle and playback speed. Recordings are industry standard MPEG-2 I-Frame MPG files at up to full HD 1080 with Progressive and Interlaced support. Two channel simultaneous playback of recorded footage with dynamic camera angle switching. Precise slow motion playback control from 10 to 100%. Reverse playback and frame by frame control. Four Events lists are available that can each include an unlimited number of Mark In and Mark Out points that can be added on the fly and changed at any time. Each event can have a default camera angle selected for playback and text comments can also be included with each angle for easy recall. Easily playback entire Events lists or selected entries as a highlight reel, complete with transition effects and background music. 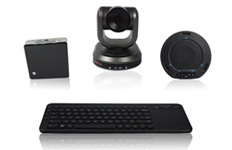 Many hardware control options available including Scroll Wheel slow motion control and Contour ShuttlePro support. Export events to separate video files on the fly, or use the recordings straight away in your favorite video editor without conversion. Use vMix Replay as a dedicated instant replay system or incorporate it into your existing vMix based production. Instant Replay requires cameras to be connected to a capture card. This includes HDMI and SDI cameras connected to a capture card either via PCI Express, Thunderbolt or USB 3.0. 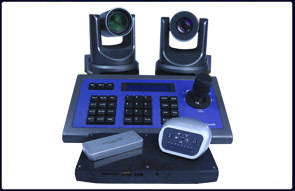 Webcams, IP cameras, and other types of video sources are not directly supported. To use these types of inputs, the "Output" camera option can be selected in the Instant Replay settings. Output will capture everything that is currently playing to the output in vMix.